Samuel Dill was born on 26 March 1844 at Hillsborough, Co. Down, the eldest son of the Revd Samuel Marcus Dill DD, Presbyterian minister of Hillsborough. Dill was educated at the Royal Belfast Academical Institution and the Queen's College Belfast, where he took his degree in arts in 1864. In Lincoln College, Oxford, he obtained firsts in classical moderations (1867) and in literae humaniores (1869). In 1869 he was elected fellow and tutor of Corpus Christi College, Oxford. Later he became librarian and dean of the college, and was made an honorary fellow in 1903. In 1877 he was appointed High Master of Manchester Grammar School. During his time there the school was reorganised; new buildings were erected and school societies developed. His liberal conception of education is illustrated by his development of the teaching of modern subjects, and by the connection that he established between the school and working boys' clubs. He attached particular importance to developing the corporate life of the school outside the classroom. In 1890 Dill returned to the Queen's College as professor of Greek. As a member of the Belfast University Commission, he took a large share in transforming the college into a university in 1909. 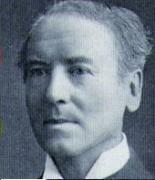 He was chairman of the viceregal committee of inquiry into primary education (1913–14). He influenced Irish education by his work as a member, and later as chairman, of the intermediate Board of Education. He received a knighthood from the Liberal government in 1909 for his services to education. In 1898 Dill published Roman Society in the Last Century of the Western Empire, which was followed in 1904 by Roman Society from Nero to Marcus Aurelius. His Roman Society in Gaul in the Merovingian Age was edited and published posthumously in 1926 by his son-in-law, the Revd C. B. Armstrong. These books are less histories of a period than studies of the life of societies in dissolution or in spiritual crisis or decay, and reveal his moral and religious sympathies. In 1924 Dill received the honorary degrees of LittD from the University of Dublin, and of LLD from Edinburgh and St Andrews. The Royal Belfast Academical Institution named its Dill House after him. Dill died at Montpelier, Malone Road, Belfast, on 26 May of that year.